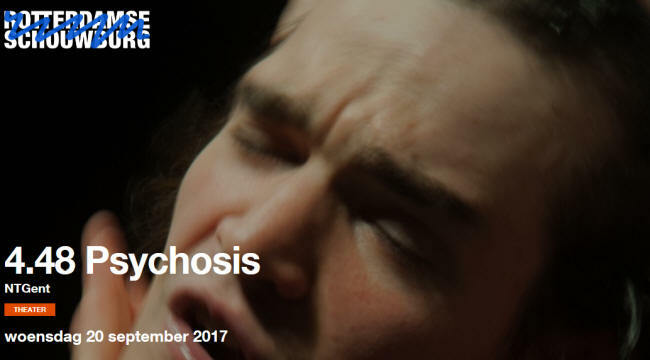 NTGent presents 4.48 Psychosis on 20 Sept 2017 in the Rotterdam Schouwberg Theatre. There will be two different but linked performces of the play performed the one after the other. The actors are Lien Wildemeersch and Benjamin Cools, the director is Jan Steen. The performances are in English.